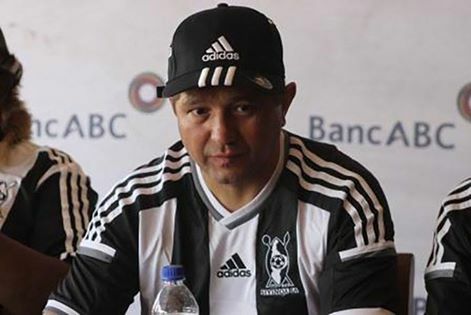 Highlanders coach Erol Akbay says that being a foreign coach comes with a lot of pressure and no wonder the Dynamos gaffer Paulo Jorge Silva is being hit left right and centre. Addressing the Highlanders press conference today Akbay said, “For a foreign coach it is difficult to work in a foreign land. People will always want what is not normal from you. “I am also feeling the pressure. But if you are doing well so be it. However, I think Silva is doing his job. Dynamos just like Highlanders is a big club and the Dynamos coach is not stupid. He will soon find his rhythm,”said Akbay. Silva has had an indifferent stay at DeMbare, a club that has so far registered one win from four starts a development that has seen a section of DeMbare fans calling for his ouster. Last weekend Silva was the man in charge as CAPS United broke a seven Dynamos jinx. Takesure Chinyama set for Highlanders?